In our family we have a tradition of spending Christmas morning watch our our dog and two cats (Cookie, Chloe and Pigeon) open stockings full of treats and new toys. 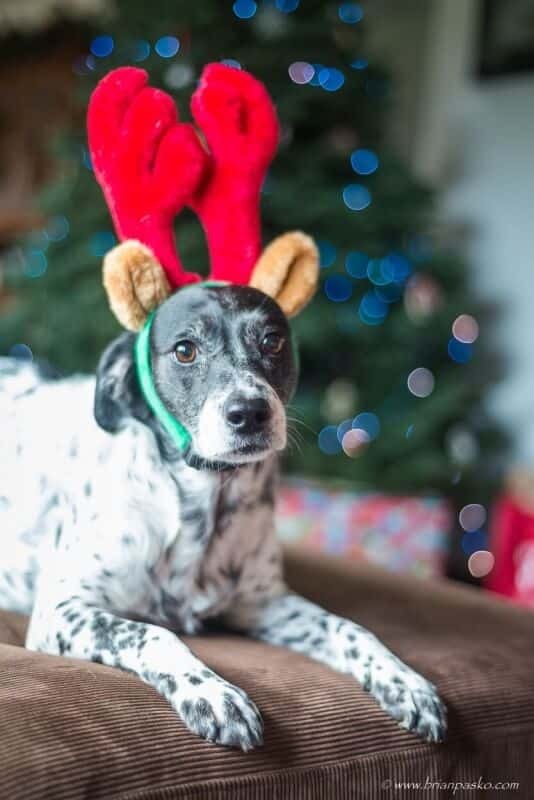 Here’s Cookie, our family reindeer, wishing all of you a Merry Christmas! (Click on the image to see a larger version).